Most people still question the importance of having an orangery, and there are certainly plenty of benefits to purchasing one for your home. Whilst many consider them to be too expensive and only reserved as a luxury addition to the home, it is certainly cheaper and faster to build than a regular extension. It will also add a touch of elegance to your home as high end orangeries make an attractive entry to a garden. It is an excellent addition to smaller homes too as it increases the floor space to make use of. It may be used as a space to relax or to entertain guests surrounded by tropical plants, flowers and trees. 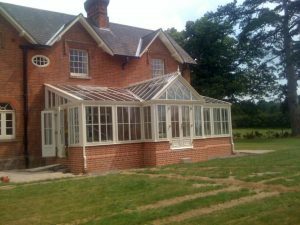 At GTS Development Ltd we provide the expertise required to craft high end, stunning orangeries. 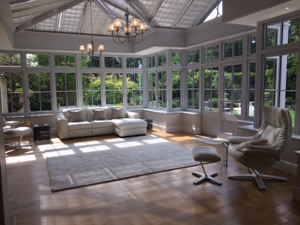 All of our high end orangeries are manufactured from the finest materials such as self-cleaning glistening glass. This means that they are durable and will last a long time, and are a more homely extension compared to a traditional conservatory. Our team of experts have acquired years of experience and this ensures that every one of our projects is meticulously crafted with lots of attention to detail. Our enthusiastic professionals will answer all of your questions about the various aspects involved in the design and planning process of your orangery. We ensure that you are guided through the process and make efficient use of your available space so that the result is an orangery designed just the way you want. Contact us today for the Orangery you can enjoy for years to come.